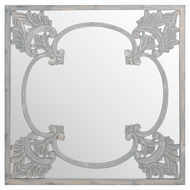 This is the Elaborate Hand Carved Grey Painted Mirror, featuring fleur de lis style detailing. 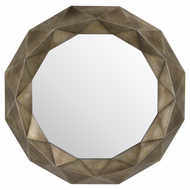 A stand out piece thanks to the hand carved nature of this product ensuring it is of the highest of quality with a unique design. 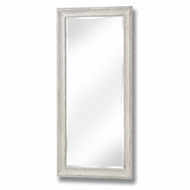 This elaborate mirror would be a stand out feature in any interior, it it an eye catching statement piece.